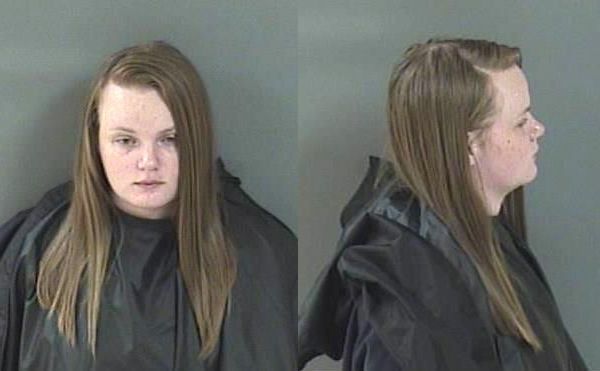 A 19-year-old female was arrested for DUI in Sebastian, Florida. SEBASTIAN – A 19-year-old female was arrested early Sunday morning at approximately 12:40 a.m. after she almost struck a patrol vehicle on U.S. Highway 1, according to the Sebastian Police Department. The vehicle then drove over the fog line, failed to use a turn signal, and was driving 46 mph in a posted 35 mph zone. The officer conducted a traffic stop on the vehicle. The driver was identified as Emily Ann Davis of Sebastian. The officer observed an open bottle of Smirnoff vodka laying on the back seat of the vehicle. Davis told police that she consumed a shot of an alcoholic beverage at a local bar approximately one hour prior to the stop. Davis, who told police she works in construction, agreed to submit to standard sobriety exercises. Police determined that she was too impaired to drive and placed her under arrest for DUI, according to the report. She was then transported to the Indian River County Jail. Once at the jail, Davis submitted to a breathalyzer. The results were 0.156 and 0.157, almost twice the legal limit.